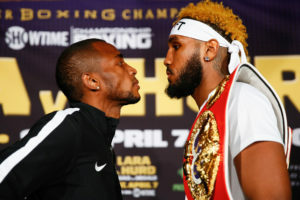 Boxing returned to Brooklyn’s Barclay’s Center on Saturday night, as Erislandy Lara battled Brain Castano for the WBA super welterweight title. First though, the card, which was aired on Showtime, presented featherweights Bryan DeGarcia (24-1-1) and Eduardo Ramierez (21-1-3) in a scheduled 12 round affair. The first three rounds were fast paced, and close, but generally uneventful. The fourth saw Ramirez apply pressure effectively while DeGracia employed strong body work. The end of the fifth saw DeGracia unload nicely on his man…though Ramirez fought back gamely. DeGracia continued to land well in the sixth. The active DeGracia looked to be carrying the fight as the match headed into the later rounds. In the ninth, however, Ramirez suddenly caught DeGracia – and unloaded. Referee Benjy Esteves stepped in and stopped the bout. 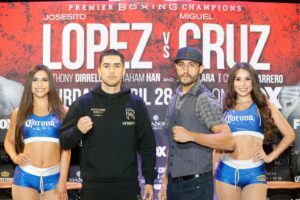 Next up was heavyweight contender Luis Ortiz (30-1) who was looking to get another crack at a heavyweight title by looking good against Germany’s 24-5 Christian Hammer in a scheduled 10 round battle. Ortiz won the first courtesy of an active jab and clean punching. Hammer caught Ortiz hard early in the second. Later in the round, Ortiz landed on Hammer. It was a close, exciting round, punctuated by a hard Ortiz body shot. The third saw both men trade punches. Hammer was trying to set traps, while Ortiz was a bit more active. The fourth saw both men trading leather. Something to note: many of Ortiz’ seemingly hard shots were hitting Hammer’s gloves. The fifth saw more of the same…Ortiz was winning, but it was clear he was in a fight. After a dominant sixth, Ortiz was heading into the second half of the fight seemingly in control of the scorecards. Ortiz’ jab told the story in the seventh. In the eighth, however, it looked like Ortiz might (“might” being the operative word) be tiring a bit. Hammer was looking stronger late in the fight, possibly winning the ninth on the cards. Ortiz dominated the tenth, assuring himself the UD win he was ultimately granted by the judges. It wasn’t the heavyweight’s best fight, but he got the win, nonetheless. It was time for the main event. 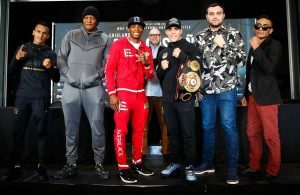 Lara (25-3-2) was looking to reestablish himself as a top man in his division while the undefeated yet widely unknown champion Castano (15-0) was eager to make his mark on the world. The first round was a close affair. The second saw the slickster, Lara, trying to keep off Castano with his southpaw jab. Castano seemed to tough his way through the third, pinning his man against the ropes and landing with some effectiveness. 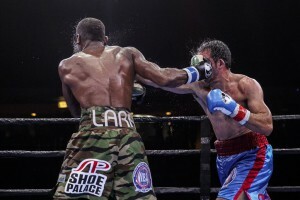 Castano continued to be aggressive in the fourth, but many of his shots were landing on Lara’s gloves. Although he kept aggressive in the fifth, Castano took a lot of clean punches from Lara. The sixth was fast paced, exciting and very close. Lara’s sharp shooting told the tale in the seventh. By the eighth, it became a matter of taste. People who enjoy pressure fighters would most likely prefer Castano. People who enjoy clean punching and defensive acumen would most likely prefer Lara. Castano landed to the body in the ninth, and Lara continued to land clean to the head. The tenth ended up being a high octane round with both men trading some nice shots. Castano’s relentless aggression may have won him the eleventh. The twelfth was also a high energy chapter, intense and hard to choose a winner from. Ultimately, the cards ruled it a draw, which was understandable considering the close nature of the fight. 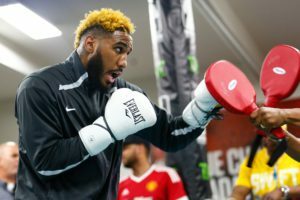 The following is the Boxing Insider notebook for the week of February 14th to February 21st, covering the comings and goings in the sport of boxing that you might have missed. Two-division world champion Canelo Álvarez (48-1-1, 34 KOs) and former WBC World Middleweight Champion Julio César Chávez, Jr. (50-2-1, 32 KOs) today kicked off their four-city international press tour in Mexico City. 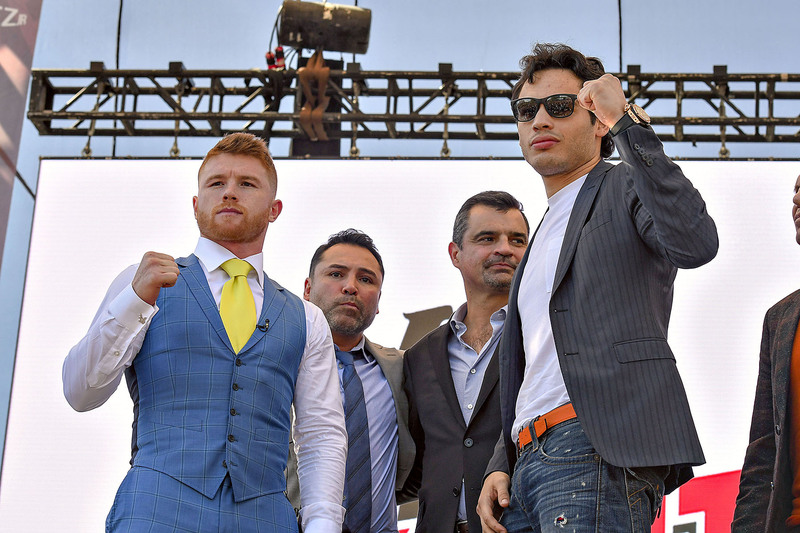 The event drew thousands of fans and hundreds of media to watch Canelo and Chavez, Jr. in their first face off ahead of their anticipated clash on Cinco De Mayo weekend, Saturday, May 6 at T-Mobile Arena in Las Vegas. “It’s a new weight, so I have started to spar with heavier partners, which everyone will notice come fight night. Fights between Mexicans are usually the biggest, and I want this fight to be a mark on the legacy that many fights like this have left behind in Mexico’s fight history. “I think that a rivalry does exist, and we are both polemic fighters. There have been a lot of comments directed towards me and my character, and I fight for pride to represent my country. “I’ve been making my way to this fight. My last fight was at 168 pounds. This fight isn’t going to be any different from any other fight that I have had in the past. I want to thank all the people who have come to support me over the years. “This is going to be a tough fight. Every fight is important, and this one especially because it is between two Mexicans fighting each other for the glory. The fight could not have come at a more perfect timing – both my and Canelo’s names are known throughout the world as some of the best fighters. My two losses against Martinez and Fonfara taught me more than all 50 of my wins. This fight has the potential to open many doors to my future that might have been closed before. I fight for pride – everyone says that Canelo is the best. “Saul was the one who wanted this fight, and my duty as a promoter is to put together the best fights. Mexican boxing is the best, and when you have these two hot boxers who want to give the best to the fans, and we couldn’t pass it up. 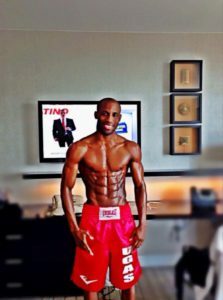 WBA and IBO super-welterweight champion, Erislady “The American Dream” Lara, is truly living the American dream since he has now completed all the eligibility requirements to become a U.S citizen. Erislandy, along with his wife Yudi, took an oath of allegiance to the United States today, solidifying their citizenship. 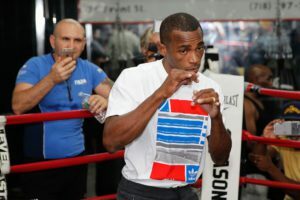 Lara, who made his U.S. boxing debut in Primm, Nevada, in January of 2009, is elated about gaining his U.S. citizenship. He reflects on the long journey it took to become a U.S citizen. A full card with an international flavor, from top to bottom, has been announced for this Friday (Feb. 24) night’s “BUTE VS ALVAREZ” major event at Videotron Centre in Quebec City, Canada. World Boxing Council (WBC) light heavyweight champion Eleider “Storm” Alvarez (21-0, 10 KOs), defends his title against former world super middleweight champion Lucian Bute (32-3-1, 25 KOs) in the 12-round main event that also serves as the final WBC eliminator to determine the mandatory challenger for WBC and lineal light heavyweight champion Adonis “Superman” Stevenson (28-1-0, 23 KOs). Alvarez, who lives in Montreal, was a Colombian Olympian and Laval, Canada resident Bute is a native of Romania. Stevenson, Alvarez and Bute are all promoted by GYM. “This is an excellent overall boxing event and the result will have a significant impact on the career of all participants,” said the President of GYM, Yvon Michel. Promoted by Groupe Yvon Michel (GYM) and Gestev, “BUTE VS ALVAREZ” is a presentation of Videotron and Mise-O-Jeu, at Videotron Centre in Quebec City, Canada. In the 12-round co-feature, Canadian heavyweights Eric “The Hammer” Martel-Bahoeli (14-5-2, 8 KOs) and Adam “The Bogeyman” Braidwood (6-1, 5 KOs) will battle for the vacant World Boxing Union (WBU) title. A former Commonwealth & Canadian title challenger, Martel-Bahieli will be fighting at home in Quebec City. Braidwood, fighting out of British Colombian, is a former football player for Washington State University and in the Canadian Football League (CFL). Popular Quebec super welterweight Sebastian Bouchard, a 2007 Canadian Championships silver medalist, takes on Mexican super welterweight champion Gustavo “Vitaminas” Garibay (13-7-2, 5 KOs) in an eight-round non-title fight. International Boxing Federation (IBF) middleweight champion Francis Lafreniere (14-5-2, 8 KOs), also fighting out of Quebec, defends his 10-round bout against Mexican knockout artist Uriel “Big Bang” Gonzalez (15-1-1, 11 KOs). The vacant North American Boxing Organization (NABO) championship will also be the line for the Lefreniere vs. Willis confrontation. 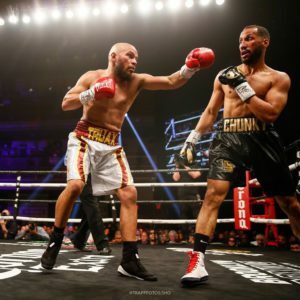 In a pair of off-PPV fights, undefeated Montreal super middleweight Dario Bredidean (11-0, 3 KOs) faces Mexican invader Alejandro Torres (9-1-2, 4 KOs) in an eight-round match, while 2016 France Olympian Christian “Le Solide” M’Billi (1-0, 1 KO) is showcased in a four-round fight against Mexican super middleweight Jesus Olivares (5-3, 3 KOs). Klara Svensson (17-1, 5 KOs) believes the time is right for her to dethrone the reigning pound-for-pound number one Cecilia Brækhus (29-0, 8 KOs) when the Scandinavian stars meet for the Unified World Welterweight titles on Friday night at the Oslo Spektrum. Svensson will enter the lion’s den to face Brækhus in front of her home fans in the Norwegian capital, where despite being the away fighter, ‘The Swedish Princess’ is confident she can upset the odds and secure a historic victory. ‘’This is something I’ve always wanted to do,’’ says Svensson. ‘’It’s not every day you get the chance to fight away from home on a massive show like this. So for me, it’s definitely not a negative to be fighting Cecilia on her home turf. ‘’I know she’s extremely popular in Norway, so I’m not expecting much of the attention to be on me, but I’m just here to do the business, and I’m going to take all of that energy and use it my advantage. ‘’I feel like a lot of people don’t really think that I have much of a chance, which is more motivating than anything for me, and I can’t wait to prove everyone wrong. I don’t think she’s faced anyone with my experience or background, so it’s going to be really different fight for her this time. ‘’There is definitely a sense of freedom for me. All the pressure is on Cecilia. The feeling of being the underdog is not something I have experienced for a long time and it’s a nice feeling actually. ‘‘In Oslo, we are going to see an upset. I’m going to upset the whole Norwegian population. I know everybody is really proud of Cecilia and her accomplishments, and so should they be, but she’s not going to stay undefeated on the 24th. Svensson has been known to get fired up before fights. A bad-blooded build up to her Swedish showdown with Mikaela Laurén saw the Malmo boxer spank her opponent at the weigh-in. representative. Arnett has been out of the ring for 15 month (and counting). He is counting on Clark to get the ball rolling and get his promising career on track. Clark, 30 of Dallas, Texas is known for his work with Jerry Belmontes, James de la Rosa, Will Tomlinson (Australia) and most recently, Willie Monroe Jr. He is also the author of the book, Protect Yourself at All Times: A Guide for Professional Boxers. Despite the lay-off, Daquan is still young (24 years old) and has stayed in the gym. He is now training in Dallas, TX with friend, Errol Spence Jr. The fighting pride of Orlando (FL), Arnett was a decorated amateur and since turning pro in 2011, he has put together a solid resumè. In his last 8 fights, four of Arnett’s opponents were undefeated. The only loss of his career came in 2014 against Eddie Gomez. Arnett is looking to make his return to the ring in April or May. 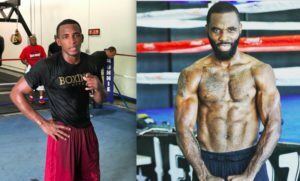 The following is the Boxing Insider notebook for the week of January 17th to January 24th, covering the comings and goings in the sport of boxing that you might have missed. 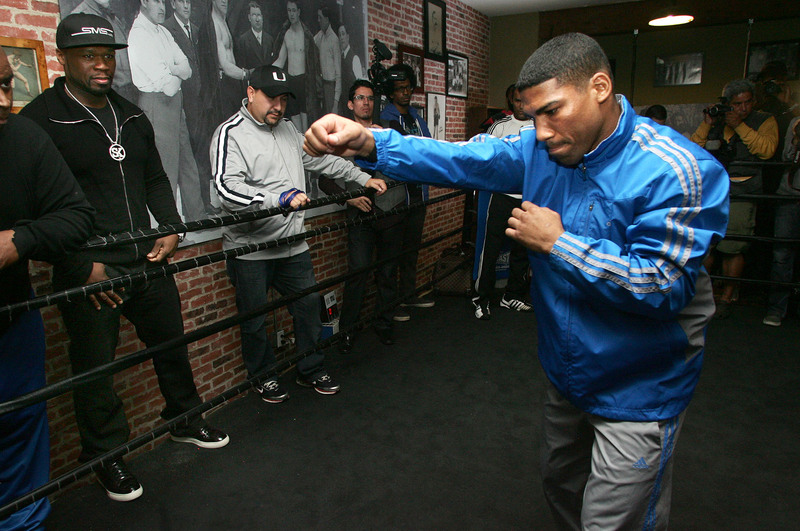 Former Olympic Gold Medalist Yuriorkis Gamboa has signed with Golden Boy Promotions to a multi fight deal. He was previously signed with 50 Cent’s SMS Promotions. 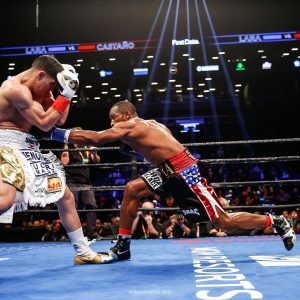 Gamboa is currently thirty five years old and has been very inactive since he left Top Rank Promotions. He is scheduled to fight Rene Alvarado on the undercard of the March 11th bout between David Lemieux and Curtis Stevens. This card will be televised live on HBO Boxing After Dark. Tickets for the live event, which is promoted by About Billions Promotions and Mayweather Promotions in association with TGB Promotions and K1 Boxing, are priced at $250, $100, $75, $50 and $30, not including applicable fees, and are on sale now. Tickets can be purchased online at www.ticketmaster.com or by calling 1-800-745-3000. Showtime has televised a large number of fights in recent years, and they just announced that they will be televising a lightweight title rematch between Anthoyn Crolla and Jorge Linares on March 25th. This is a rematch from their September 24th bout that Linares won by a close decision in a fan friendly fight. This bout will be televised in the United States on Showtime and live on Sky Sports in the United Kingdom. 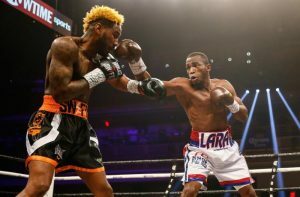 Erislandy Lara, the WBA/IBO 154-pound champion, scored two knockouts in his match against Yuri Foreman in Miami on Premier Championship Boxing on Spike TV last Friday night. One in the ring to retain his world titles and another in the ratings. 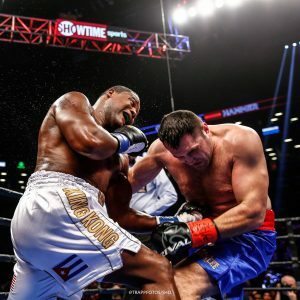 An average of 547,000 viewers, with a peak audience of 707,000, tuned in to watch Lara land a devastating uppercut that knocked out former world champion Foreman in the fourth round. The Irish Centre, along with Peter Grandich Company and Trinity Financial, Sports & Entertainment Management Company, will proudly welcome former world heavyweight title challenger Gerry Cooney to the town of Spring Lake, N.J. on Sunday, March 12. Appearing as part of an Irish Celebration, Cooney will be present from 2:30 p.m. to 4:00 p.m. at the Irish Centre, which is located at 1120 Third Avenue in Spring Lake. The first 100 visitors on March 12 will receive a free autographed photo of Gerry Cooney. Additionally, all are welcome to bring items to get autographed that afternoon, as well as take photos with him. Before turning professional, Cooney was a decorated amateur fighter who won tournaments in England, Wales and Scotland, in addition to being a two-time New York Golden Gloves champion. He then won his first 25 bouts as a professional prizefighter, with none more impressive than his 54-second destruction of former world champion Ken Norton at Madison Square Garden in 1981. The crushing victory earned Cooney a date the following year with WBC Heavyweight Champion Larry Holmes, where he gave a valiant 13-round performance against the unbeaten Holmes. After the fight, Cooney continued to box until his 1990 professional finale against George Foreman. Despite his imposing 6-foot-6 posture, Cooney still remains one of the most beloved figures associated with the sport of boxing, regularly appearing at major fights in the region with Randy Gordon, former New York State Athletic Commissioner and his co-host on SiriusXM’s At The Fights. 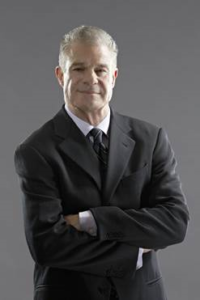 Located at 219 Morris Avenue in Spring Lake, Peter Grandich Company and Trinity Financial, Sports & Entertainment Management Company provides business, retirement and estate planning services to individuals, business owners and professional athletes. Through a strategic alliance with York-Jersey Underwriters, the company offers professional advice and risk management services to business and personal insurance clients. 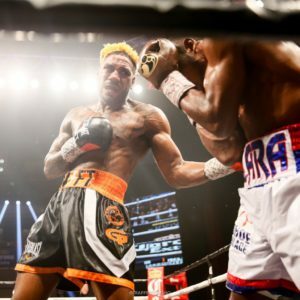 The Burgin-Sparrow fight tops a nine-bout card at the 2300 Arena in South Philadelphia. First fight is 7.30 pm. 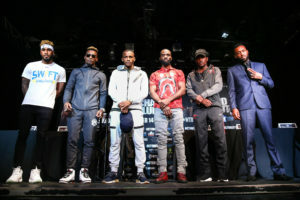 Tickets are priced at $40, $50 and $75 and they are on sale at the offices of Peltz Boxing (215-765-0922) and at www.peltzboxing.com or www.2300Arena.com. The card is being promoted by Peltz Boxing Promotions, Inc., BAM Boxing and Joe Hand Promotions. It will be streamed live by www.glf.com and televised on delay by Comcast Sports Net.